Here in Vancouver we as a city have had the pleasure of hosting Richard Branson and his Virgin Atlantic airline which today began operating flights from our local airport. The city is abuzz with the well known entrepreneur and his easy charm who seems to be as at ease speaking with our local politicians as he is in a jumpsuit showing off his latest fleet. 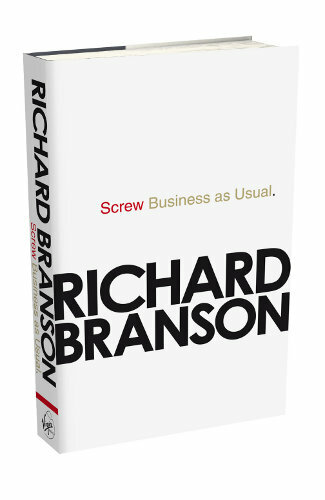 You can't help being inspired by this guy and what he has accomplished but if you are still needing to know more about where he sees business and economies heading, pick up his latest book Screw Business as Usual. In it, he documents how he sees traditional Capitalist ideals being turned on their head and how doing good is actually good for business.